Whether you’re on Team Red or Team Blue, the Nerf Rival competition is going to be fierce – and you’ll need every round you’ve got! 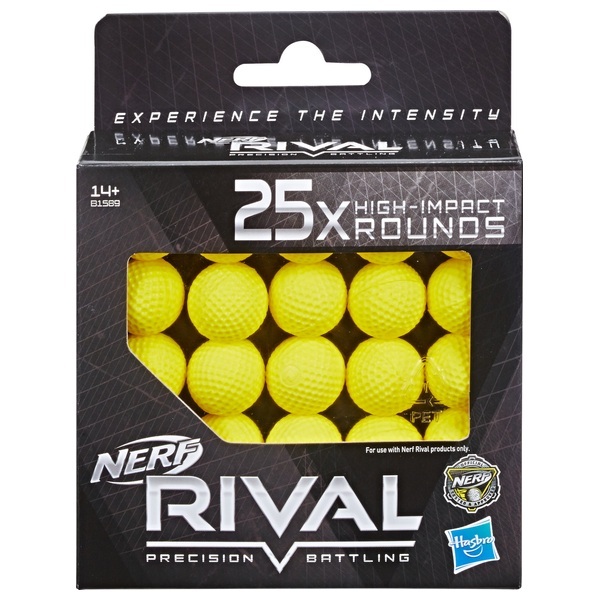 Each high-impact round in this Nerf Rival 25-round Refill Pack works with Nerf Rival blasters (sold separately). If it’s precision and power you want, you need the 25-round Refill Pack!